Ideally suited to a first-time buyer or a property investor is this two-bedroom stone fronted inner terrace property located within proximity to Penistone town centre and associated amenities which does require a modernisation programme to bring to a modern standard. 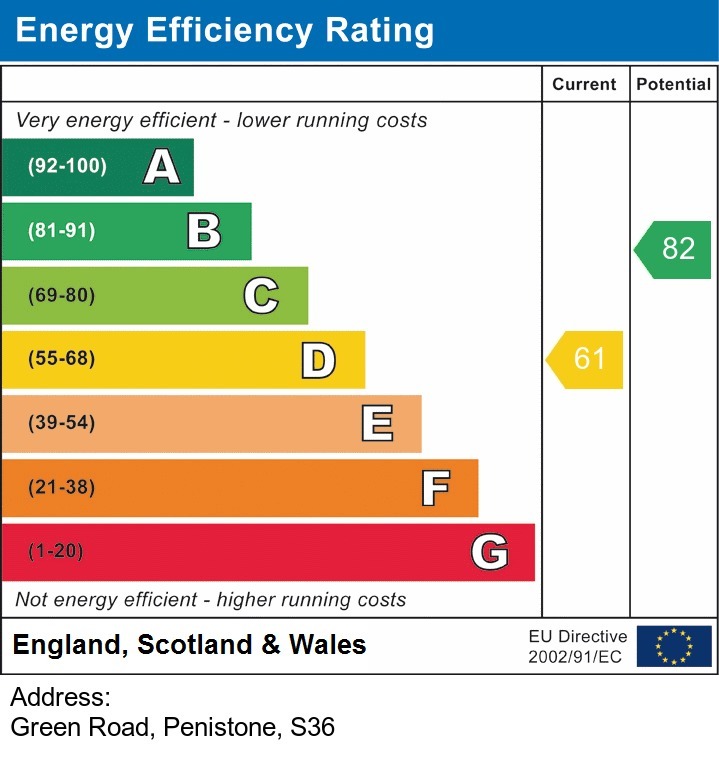 The property benefits from gas central heating double glazing as well as enclosed yard. 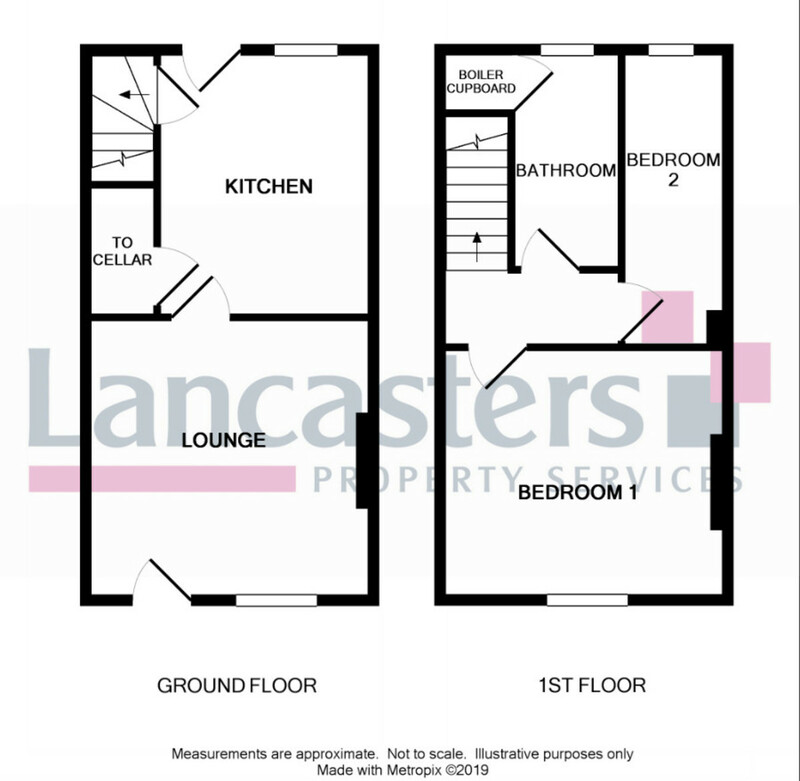 LOUNGE Measuring 12' 0" x 11' 10" (3.66m x 3.61m) A front facing principle reception room having double glazed window, radiator and focal point fireplace, this also gives access to the breakfast kitchen. BREAKFAST KITCHEN Measuring 12' 1" x 9' 1" (3.68m x 2.77m) To the rear elevation is this spacious breakfast kitchen in need of restoration currently featuring base and wall units with stainless steel sink unit and mixer tap over. There is plumbing for automatic washing machine a gas and electric cooker point and space for a free-standing fridge freezer. There is part tiling to the wall's vinyl finish to the floor radiator double glazed window and door to the rear elevation. Access to a cellar and a staircase elevates to the first-floor landing. Staircase to first floor landing gives access to two bedrooms and bathroom. BEDROOM ONE Measuring 12' 5" x 12' 0" (3.78m x 3.66m) A front facing double room with double glazed window and radiator. There is a built-in cupboard to either side of the chimney breast. BEDROOM TWO Measuring 11' 7" x 4'5" (3.53m x 1.35m) To the rear elevation is this single room having double glazed window and a radiator. HOUSE BATHROOM Currently features a three-piece bathroom suite comprising a push button w.c. pedestal wash hand basin and panelled bath with electric shower over. Part tiling to walls vinyl finish to floor frosted double glazed window and airing cupboard housing the combination boiler. EXTERNALLY To the front elevation is Green Road whilst an access path gives access to a south facing rear yard. These details were prepared from an inspection of the property and information provided by the vendor on 15th March, 2019.